Realize what can be done to expand your life experience. Fully utilize the gifts inherent in your energy field. Receive an invitation to clear your inner resistances. Be Freed Up to elevate to your next level! Energy scanning is a process during which each of your seven chakras is viewed remotely, and the information held in each one of them is gathered. During your appointment, all of this information—regarding your highest potentials and also any cloudy or foggy areas (opportunities for growth)—will be conveyed to you. Each area, and all of this information, is propelled by an energy system called the seven major chakras. As pure White Light from Source comes into three-dimensional reality, it breaks down into the seven major Color Rays—much the same way a prism will refract light into a rainbow of colors. These Rays feed us our energy, and each color carries with it certain attributes that contribute to the various areas of our lives. Each of your seven chakras is generally fed by one or more of the Color Rays. Each chakra is a spinning wheel containing the energy of that Color, and as it passes through to create your consciousness, the energy continues out and creates your life's reality. This is what is meant by "your consciousness creates your reality." Your seven chakras are the system of energy your soul sends out to you, and they, in turn, fully monitor, control, and define many of the ways in which you experience your life. Within each one of your chakras is all the information, coding, potentials, and blockages that you may have in the specific area that that chakra governs. 7th Chakra—Crown - Purple - Spiritual Guidance and your ability to connect with and receive it. 6th Chakra—Third Eye - Indigo - Intuitive viewing. How well are you able to perceive the unseen? 5th Chakra—Throat - Aquamarine Blue - Your ability to speak and communicate your Truth. 4th Chakra—Heart - Green - Your ability to give and receive love abundantly. 3rd Chakra—Solar Plexus - Yellow - The seat of your personal power. Are you overly dominant with others? A shrinking violet? Or balanced? 2nd Chakra—Sacral - Orange - The fountain of your creative power. Are you fully expressive or a bit stuck? 1st Chakra—The Root - Red - This is your grounding foundation, where basic needs are met: food, clothing, love, shelter. Are you secure? 1) What each of the seven chakras contains—its information, its brightness or darkness, and your potentials or resistances. 2) What you brought with you when you were born into this world. 3) What you may be carrying from past lifetimes, have created in this lifetime, or have developed through your current circumstances. It is our endeavor in this lifetime to resolve and clear out issues that are holding us back from being more wholesome carriers of pure White Light from Source. As we are walking our spiritual journey, and working through what holds us back and the lessons we choose to have in this lifetime, we continue to expand our knowledge, our gifts, and our experience. All the wisdom we gain continues to contribute to our own soul's path toward greater enlightenment. How will I gain from this knowledge? Once you are aware of what you're holding within, you have the power to change it! What do you want to create next in your life? By going within and receiving this information, you'll have the guidance you need to move forward and change what you want to change. You will be invited to work with Suzanne and have her do the energy blockage clearing for you in later appointments, through a series of sessions. You will also be guided to take certain steps on your own if you'd like, or investigate what it would be like to instill long-lasting transformation through a 6-month private mentoring program designed for deep, permanent, positive shifts upward. When you can clear the energetic blocks that are held within your chakra system, your whole life can shift and change dramatically. A whole new way of being in the world. Crystal-clarity on what are the right next steps for you. The energy and enthusiasm to take those steps! The ability to see clearly and with focus, exactly what doesn't serve you, and facilitate ways to separate yourself from it. 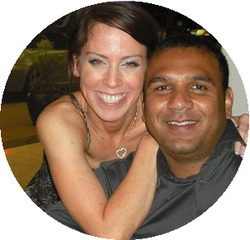 "I had the 20-minute energy scanning session with Suzanne and it really was incredible how much she was able to intuit about me and my family. It took no time at all for Suzanne to uncover my concerns and the topics that were most important to me. I definitely plan to schedule additional sessions with Suzanne as it is very evident to me she has a genuine interest in helping me reach my highest potential." 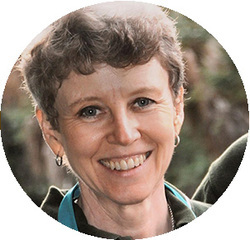 Patty L. says: "I initially had a 20-minute scan, and then purchased three coaching sessions. I really appreciate Suzanne's energy, her intuition, and the gift she has of helping one to focus and to gain clarity. She really helps point out steps that take the overwhelming to easily doable. Suzanne gives you homework and goals to shoot for. She is a blessing and I look forward to our next session." 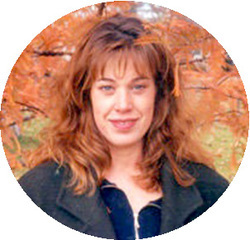 Sandra G. says, "I was fortunate enough to have a 20-minute energy scan session with Suzanne. She was warm, caring, and easy to speak with. She helped me find some clarity around my career/purpose, and provided some direction with regard to some potential remedies for a few health issues I have been dealing with. I would not hesitate to work with Suzanne again!" “Suzanne's connection with Spirit is excellent. Spirit, through Suzanne, has provided me with tools I can use to make my own connections with Spirit." 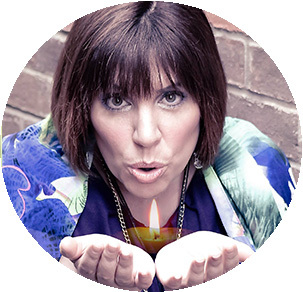 Renee H. says: "The 20-minute energy scan was over too quickly; however, I received more value from the session then I bargained for! Suzanne validated some key areas to confirm this family already has their individual compass needles pointing down the right paths for each person. Getting that validation will help us all avoid distraction from our goals. I am excited about the next level we will embark on together. Thank you, Suzanne, for mastering your craft!" 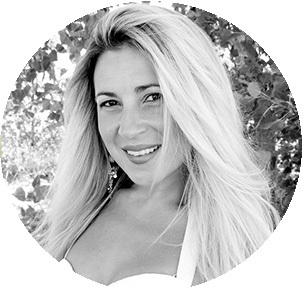 Marina M. says: "I had a 20-minute energy scan with Suzanne—it was quite an experience! Suzanne intuitively suggested I develop my writing skills and birth the book I have in me. This has been a long-forgotten dream, and it was truly inspiring to have a new path revealed to me. I feel the possibilities in my life have expanded beyond my perceptions—very exciting! Thanks, Suzanne." Renee M. says: "Suzanne really connected me to a message that I was missing, that really put in that empty piece of the puzzle in my career. An exciting suggestion from the left field!" 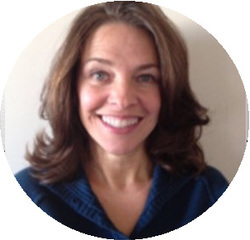 Shannon M. says: "I found Suzanne to be very generous with her time and intention for the session. She holds a high purpose in providing the information she can access on your behalf and shares it with joy. What she said resonated with me and was a necessary part of my development. I don't know who else could have provided me (with) that information and confirmed what I was feeling. I look forward to working with her more." Kathrine S. says: "Initially it was my mind listening and judging, yet Suzanne's words surpassed and spoke directly to Heart. Her words touched hidden chords, allowing them to reverberate in Truth, so it felt. It was an interesting first encounter and I look forward to the follow-up." Brian C. says: "My session with Suzanne was a huge help; it gave me clarity about a difficult and overwhelming situation and a lot to think about! Being in that energy has shifted me so much in the last 24 hours and change has already occurred! 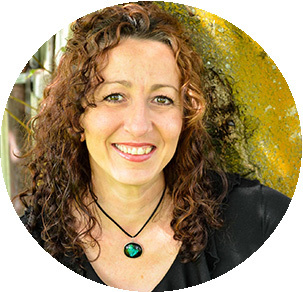 Distance Energy Healer, trained Life Coach, and Spiritual Mentor, Suzanne assists individuals in connecting and living through their highest selves. She has been working with individuals privately since 1998, viewing and healing their energy, first in person and then remotely, by delivering what's referred to in A Course in Miracles as "extending a 'Holy Instant,'" in which a miracle is borne. Consistently, client after client would experience massive and positive life-changes that would come to them at a time and a pace that was suitable for them. She would watch their lives unfold and transform in miraculous, sometimes sudden, and unexpected ways. Suzanne utilizes the teachings of A Course in Miracles to see, understand, and translate the energies contained within all individuals. After completing Dan Hanneman's Energy Scan training, Suzanne blended these two teachings and found a more translatable method of communicating energy viewing and healing to her private clients. Her ability to remotely view energy and its color and her abilities as an Empath have been developing and fine-tuning since early childhood. 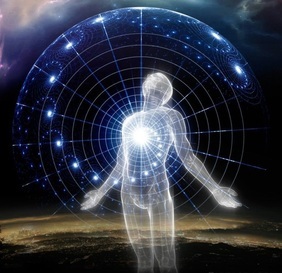 What occurs during your energy scan is her practice of connecting to Higher Source and sharing the information for you that is the most pertinent for you to hear at this time in your life. The practice and discipline of being able to remove herself, her own thoughts and ideas, during this process provides you with very clear guidance. Clients have expressed amazement at her accuracy and the fundamental truths that have been discovered through their experience of an energy scan session with Suzanne. Working with an energy healer to facilitate energetic clearing is a much faster, more effective way to neutralize the blocks you are holding within. Your spiritual and personal growth become greatly accelerated. In receiving your energy scan, if the information you receive from Suzanne resonates deeply with you, you will be given the opportunity to work with her for future scheduled sessions. Your energy clearing can take place in a matter of weeks or months. It does not have to take you several lifetimes...We are living in the times now when all can be cleared.